Bringing dead pictures to life is the task of the “film doctor”. From a mess of old films, thrown into the discard because they are too poor for the big exchanges to use, he patches rehashes and builds up a strange conglomeration that is re-titled and sometimes freshened with a few new scenes. Then it is peddled to the little theaters and ignorant patrons are hoaxed into paying money to see it. I made the acquaintance of a film doctor not long ago. He told me the dark secrets of the cutting rooms. From this man, I learned that companies are formed for the sole purpose of “warming over pictures”. Their buyers comb film libraries can after can of old film some of it made and exhibited as far back as 1914. They buy all stuff that can be revised and doctored. Then it is given a new name and sent again on its rounds of theaters. “Here is how we do it” the film doctor told me. “We find an old feature film. The buyer is especially watchful for scenes of players who have made big reputations like Valentino’s on which we can cash in. Sometimes, of course, the exhibitor sees the value of the old film. In some cases, big producers have reclaimed their own film at little expense and thrust it upon the market. “There is nothing complicated about reviving a dead production”. It costs only a few dollars, once we get the right film. New titles with unique border designs are printed and inserted and prints are made from the old nitrate negative. Sometimes, to paid it out, we add stock scenes, with new situations and incidents. Of course, we cannot re-take the star. These fresh scenes are starless ones. But we splice it all together and you’d be surprised how neat some of the jobs turn out. “Of course, anyone who has any knowledge of pictures can at once see that it is old stuff. The sets are rickety, the lighting poor, and the actors are often crudely directed and costumed. These things all depend on how many years ago it was made. Every year shows a sharp advance in the quality of pictures, you know. There is one way that the wise exhibitor can always tell a warm-over print. They are almost invariably rainy. A rainy print is one that is made from a negative that is scratched and streaked from passing many times through a printing machine. This causes fine white lines that dance vertically up and down the screen. This is our biggest handicap in selling revised pictures.” After my talk with the film doctor, I began to realize that the issuing of old prints, disguised as new ones, is one of the cheapest greediest phases of the movie industry. If producers must revive old productions, let them frankly take their old stories and reproduce them in a modern way, under modern conditions. But let them be advertised as revivals. WH Hays biggest job is to re-establish the confidence of people in motion pictures. The men who make the movies can assist him by leaving their old films in their files in their film libraries, where they belong. As an example of what I mean, let me quote from an advertisement in the 24 Jun 1922 edition of the trade journals for exhibitors. This advertisement bore the seal of a prominent producing and distributing organization. It goes to say: “A colossal array of BOX-OFFICE names. Imagine what you can do with such names as Griffith, Reid, Gish, and Calanne. Imagine what you get with the talents of these great artists merged into one big box-office attraction. Imagine Mr. Showman, how you can exploit these names… This big producing and distributing company has probably purchased the negative of this old film and in their laboratories made it over. The picture-wise public whose intelligence has increased with the progress of the industry”..Some time ago, one of the prominent producing units of the industry one who has made good pictures and one of the few to remain after the sifting of the past few years rehashed a screen play which they named Rogues Romance. 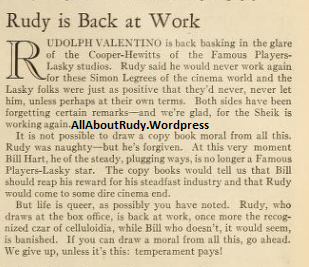 It might have been a good number as to that I cannot say but when they decided to wish it on the public again they advertised Earle Williams and Rudolph Valentino. Now, surely, at the time when this film was produced Valentino could not have had a part that would have justified his being featured. If he did, why didn’t they feature his name first. No, they featured Valentino’s name on the revival of the piece to cash in on his present-day reputation. 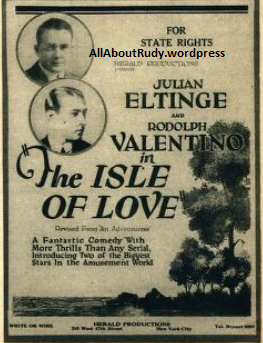 The playgoer goes to the theater advertising this feature expecting to see Valentino in a big role. No doubt, Mr. Playgoer wonders when Valentino joined forces with this particular neighbor. “I didn’t know Valentino was with so and so”. I thought he was with Paramount? Then after, he has seen the performance he soon understands, and curses because he was fool enough to be swindled. 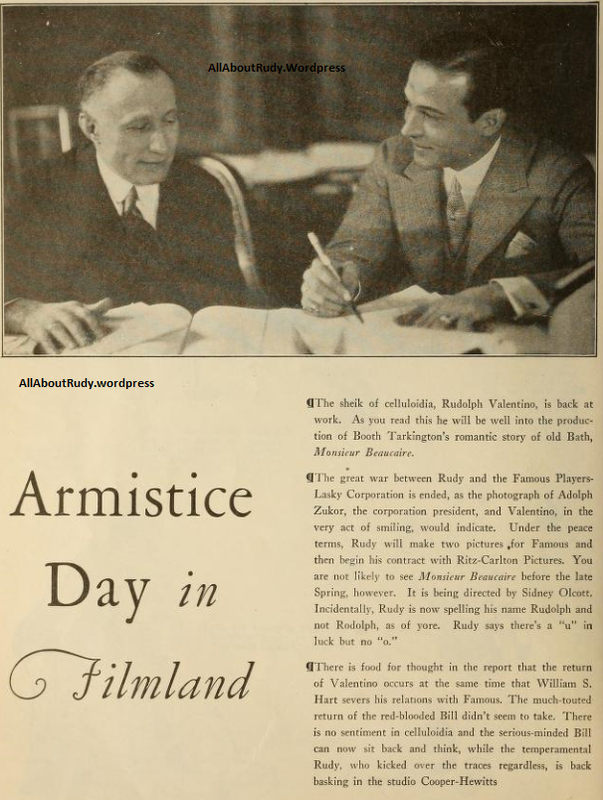 for the late actor Rudolph Valentino was forfeited today to the U.S.
years in prison. He paid the fine and his sentence was suspended. 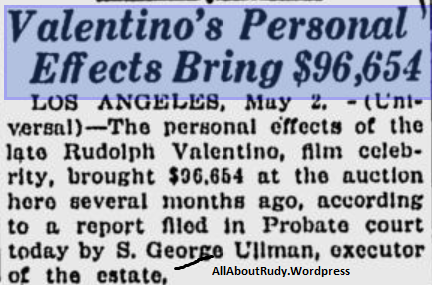 3 Jan 1928 – Rudolph Valentino Was he Poisoned? 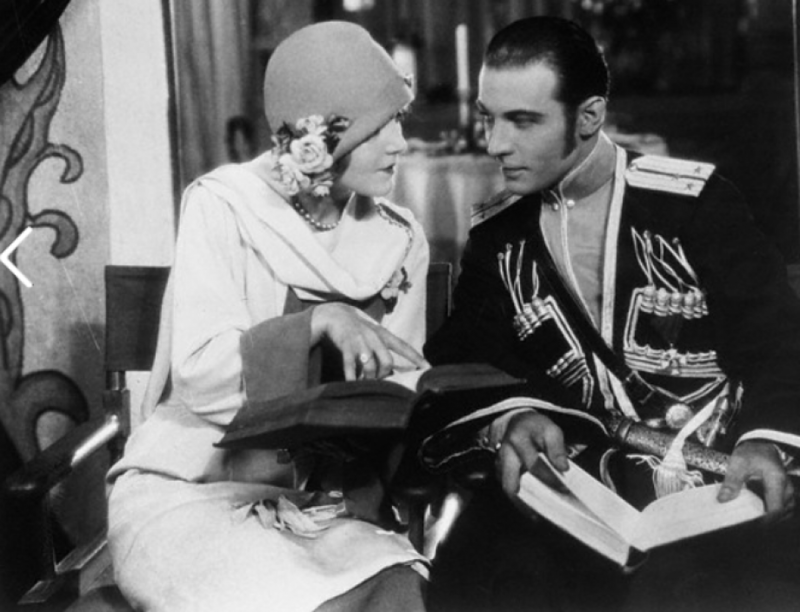 Was Rudolph Valentino poisoned by a jealous woman whose advances he rejected? According to messages from the “Seccolo,” of Milan, private detectives in New York are working on a clue which may lead to a solution of the numerous rumors surrounding the death of the famous film star. According to one report, a detective and his wife were the witnesses in a Broadway night club of an incident which, it is alleged may afford an explanation of Valentino’s illness and death. Valentino, it is stated, was approached by a woman who was apparently in love with him. Valentino turned his back on her and entered into conversation with another woman. With anger the spurned woman is said to have made a sign to two men. A lady detective says she overheard one of them say, “The Indian method is infallible. One can mix diamond dust with a drink, and it will cause death by internal perforation. Doctors will say death was due to an incurable malady or attributed to appendicitis. 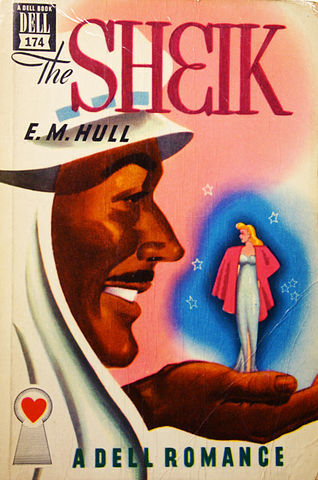 Although not published by Mills & Boon, E. M. Hull’s The Sheik (1919) has been widely accepted as the first formula ‘sheikh’ romance. I define sheikh romance as a love story set in the deserts of the Middle East or North Africa, with a sheikh or sultan hero and almost always a western (which is usually British, North American or Australian) heroine. A typical sheikh romance might begin with the forced marriage of hero and heroine following her abduction to his desert kingdom: an experience interspersed with midnight horse-riding in the desert, camping in a Bedouin tent, getting rescued from a sandstorm, bathing and being luxuriantly massaged in the sheikh’s jewelled palace, and enjoying a host of other Orientalised luxuries. 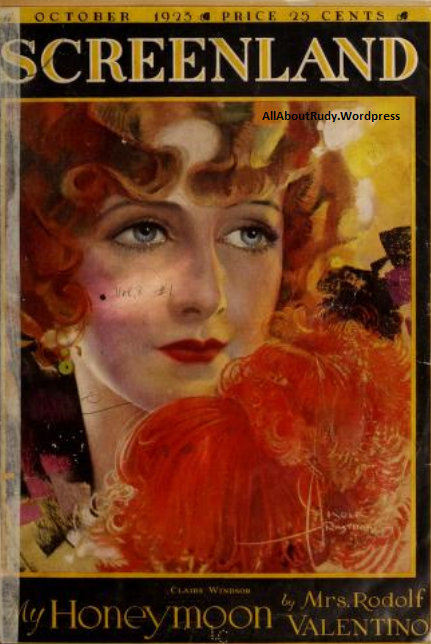 The success of Hull’s The Sheik spawned many more sheikh novels, including the first Mills & Boon sheikh romance, Louise Gerard’s A Sultan’s Slave (1921). Mills & Boon followed this up with Desert Quest by Elizabeth Milton in 1930, Maureen Heeley’s The Desert of Lies and Flame of the Desert in 1932 and 1934 respectively and Circles in the Sand (1935) by Majorie Moore. Sheikh romances seem to decline in popularity during the 1940s, at least in terms of Mills & Boon publication, but return in the 1950s and 1960s. At least three original sheikh titles were published by Mills & Boon in the fifties, six in the sixties, growing to 12 in the seventies, 17 in the eighties and 24 in the nineties. However in the 2000s the growth in popularity was exponential, with over 100 original titles published by Mills & Boon from 2000-2009. Even taking into account the increase in the number of novels published, this is a substantial increase, suggesting a significant contemporary market for these sheikh romances. Although sheikh titles appear in many different series, the majority of recently published sheikh titles in the UK have been part of Mills & Boon’s flagship ‘Modern Romance’ series which began in July 2000. From the beginning of the ‘Modern Romance’ series until December 2009, Mills & Boon published 57 original sheikh titles in the ‘Modern Romance’ series  and these are the texts I focus on in this paper.